Since 1983, Costa has built the best performing polarized sunglasses for anglers who demand the best tools available for a great day on the water. Now anglers can have the eyewear brand they trust on the water for their indoor and evening pursuits. The inaugural collection available through Costa’s authorized optical dealers, features the brand’s signature performance attributes including high quality construction and durable materials along with stylish designs at a variety of price points to meet every patients’ needs. Featuring exquisite detail and craftsmanship, the collection is available in lightweight titanium, Bio-Resin nylon with tri-fused colors and handcrafted acetate. Hydrolite technology on the nose and temple pads not only help keep the frames in place, but also feature a 3D topographic pattern that speaks to the brand’s love of the ocean. Meticulously refined hypoallergenic surface materials provide carefree comfort and reduce wearer fatigue. The wire core temples allow adjustability for a perfect fit, and the custom-engineered hinges provide a relaxed and comfortable fit. Bimini Road includes classic sporty styles featuring full rim and semi-rimless titanium with nickel-free integrated spring hinges. These durable, lightweight titanium frames are hypoallergenic, corrosion-resistant and are a reliable choice for the consumer who lives for adventure. Also in titanium, the Seamount collection is comprised of minimalistic rimless styles, as well as a full rim option. These styles feature a sleek, sport fit with spring hinges and non-slip Hydrolite rubber temple sleeves. 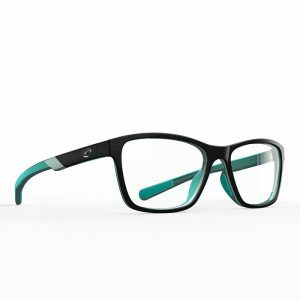 The Ocean Ridge collection features Costa’s proven tri-fusion frame technology and has colorful, lightweight and great-fitting sport nylon frames. These styles feature a nearly indestructible bio-based resin nylon material, which ensures the frames hold their shape even in extreme hot and cold weather. Pacific Rise offers classic designs combining lightweight titanium and Costa’s proprietary bio-based nylon resin fused with Hydrolite rubber on the temples to provide an incredibly comfortable wear. The Mariana Trench offers a variety of colors and on-trend styles in lightweight, handcrafted acetate. These frames include a wire core to easily adjust the temples and mechanical pin hinge construction to provide Costa’s signature carefree fit to the most discerning patients. Styles in Costa’s new optical collection offer a two-year manufacturer’s warranty against defects and retail prices range from $150 to $260. As the leading manufacturer of the world’s clearest polarized performance sunglasses, Costa offers superior sunglass lens technology and unparalleled fit and durability. Still handcrafted today in Florida, Costa has created the highest quality, best performing sunglasses and prescription sunglasses (Rx) for outdoor enthusiasts since 1983. Born on the water, Costa works hard to protect the ocean it calls home. Through programs like its Kick Plastic campaign, where the brand seeks to raise awareness about the growing plastic pollution problem threatening oceans worldwide, to serving as a long-term partner to shark research organizations like OCEARCH, Costa encourages people to help protect the Earth’s aquatic resources in any way they can. For more information, contact 1-800-447-3700 or visit the company’s website. Join the conversation on Facebook, on Instagram, or on Twitter.